You’d have to have been living a solitary, internet-free existence in a cave somewhere for most of 2016 to miss the phenomenon that was Stranger Things. The Netflix throwback series about a group of kids terrorized by a supernatural creature in the 1980s was all anyone could talk about for a significant portion of 2016 – and for good reason. Matt and Ross Duffer’s surprise hit caught lightning in a bottle when it premiered on the streaming video service in July and quickly became one of the most-watched series on Netflix and a volcano of discussion on social media in the weeks and months that followed. 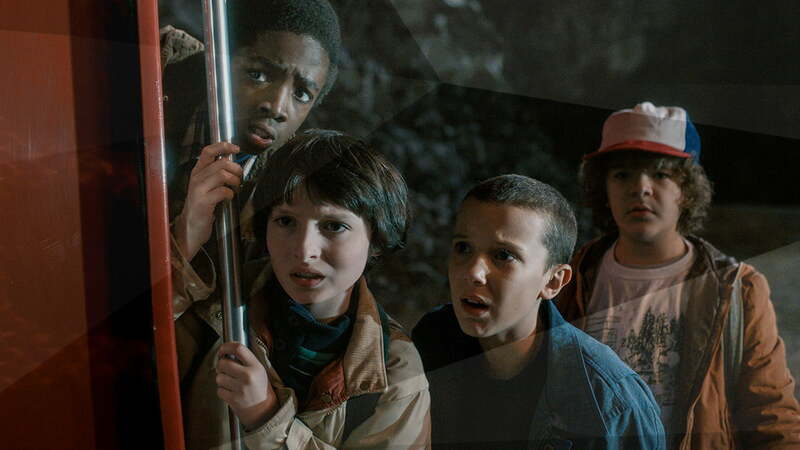 A clever throwback to ’80s cinema that manages to feel surprisingly fresh, Stranger Things mines the nostalgia of a generation that grew up on the films of Steven Spielberg and the stories of Stephen King – audiences who consumed one brilliant story after another about plucky kids who battled evil with the power of their imaginations, ingenuity, and a healthy dose of friendship. Led by a young cast of newcomers and supporting cast of familiar faces that – particularly in the case of Winona Ryder – push the nostalgic vibe of the series even further, Stranger Things manages to walk the fine line between appealing to an audience hungry for what they remember and holding the attention of viewers who demand to be surprised. From its haunting opening theme to countless other elements born of a blend of old-school horror and modern effects, the first season of Stranger Things feels both old and new simultaneously — not an easy balance to maintain for one episode, let alone a full season. For these reasons and so many others, it should come as no surprise that Stranger Things struck a chord with audiences and became one of the year’s cultural touchstones. After all, the appeal of a great scary story and young heroes who prove themselves to be more than up to the task of saving the day is something every generation can appreciate. This anthology series was given new life in 2016 with a fresh season of dark visions of humanity’s evolving relationship with technology and beyond, and clearly made the best of it with one of its most acclaimed seasons so far. The stories in Black Mirror hit close to home with uncomfortable frequency, and the smart, speculative nature of the episodes is matched by equally impressive storytelling. We might not like what we see reflected in Black Mirror, but what the series says about the myriad ways our lives are shaped by technology and popular culture encourages us to talk and – more importantly – think about the world around us. Still in its infancy, HBO’s Westworld has given audiences a surprisingly nuanced exploration of the nature of humanity and consciousness. It’s filled with the sort of opportunities for speculation and lingering mysteries that make for must-watch television. Superb visual effects and acting only sweeten things, as one of the most-anticipated shows of the year has lived up to the hype so far. Here’s hoping the series continues on that path and dives even deeper into the big questions it’s asking, and keeps prompting the kind of conversations that make it must-see television.